The latest craze in pop culture seems to be the supernatural; science fiction and fantasy have intertwined and quickly become a mainstream genre. 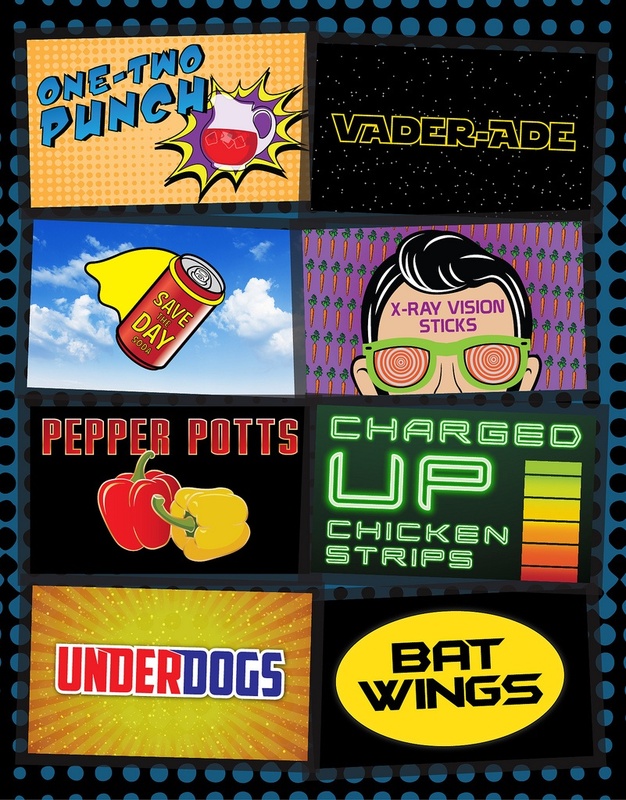 With an array of popular television shows, movies and even video games all featuring frightful creatures and superhuman heroes, this trend is well-known to students and a great way to bring some humor to your store! Connect with your customers on a lighthearted level by hosting a Geek Week, dedicated to those who love the abnormal. Host your own version of Comic-Con to reach those inspired by the supernatural! It’s a great way to let students celebrate their inner geek and connect with others who have similar interests all in one location. The best part about this month’s event, however, is that you can customize it to fit your store’s size and student base. We’ve come up with a variety of activities that you can choose to host sporadically throughout the week or all at one big event! Select a date when you think the most students will be able to attend. We suggest sometime near the end of finals, when many are looking for a way to unwind and take a break from studying before heading home for summer break. 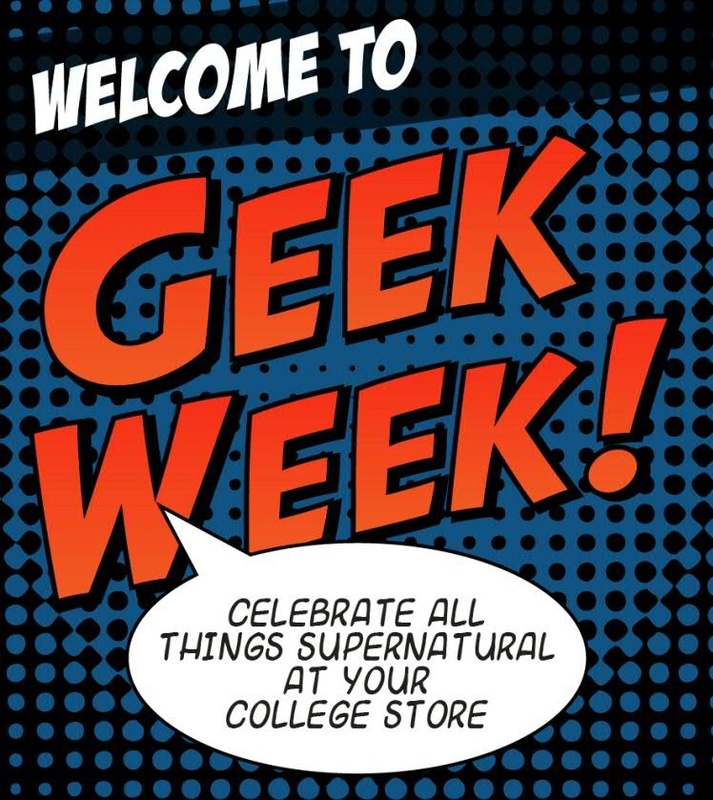 With so many supernatural characters making their debut on the big screen this summer, it’s a perfect time to entice students into the store with a movie marathon. We’ve created a list of movies you can feature, so it’s practically effortless; simply supply popcorn and some space to watch the film. We’ve compiled a list of geeky trivia questions designed to challenge even the biggest sci-fi and fantasy fans. All you have to do is invite students to the store to compete! Once they’ve arrived, have them assemble into teams of a designated number, so the group is divided evenly. Here’s just a small sampling of our trivia questions. There’s 50 more where that came from! Click the image to download the entire list. Then, hand out our customizable response forms and have them get to work. Ask each question in turn, giving participants time to answer. At the end, collect the response forms and tally up the points. Award the top three teams with an item of your choosing. Since so many supernatural movies are being released this summer, we suggest trying to incorporate tickets to their premieres as a part of your prizes. Download our list of movie release dates to use as a guide. Partner with a local beauty school or cosmetic store to offer zombie makeovers to attendees! Start the process early so everyone has a chance to make their transformation. Then, ask all of the newly undead to meet at the store for a stroll through campus. Be sure to take lots of pictures and post them to your social platforms! No one loves theme parties more than college students, so invite them to the store for an unforgettable event. Ask students to dress as their favorite hero or villain – choose to specify a category for the theme such as comic book characters or leave it open ended and let them decide! Reward all of those who show up in costume with an extra discount at the event or some special swag. Then, have attendees or even your staff members vote on the best dressed for both the hero and villain category. The voting method can be as simple as the volume of applause, or be more structured with various criteria. Regardless of which you choose to implement, be sure to post pictures of the winners and any runners-up on your social media pages to show others all the fun that they’re missing. Download fun templates for these specific offerings (pictured below) or use our customizable template, available in five colors, to personalize placards that can sit by each of your unique options. Let students know about all the entertaining activities you’re hosting at Geek-Con using our free and customizable marketing materials! Simply click the poster image to download and then add in your individual event’s information. What better way to get students involved on your Facebook or Twitter page than to spark a debate? We all have those topics that we’re passionate about, and for many students that involves their favorite series of books, TV shows, video games or movies. We’ve created several categories designed to get fans of each of these areas engaged. Simply post these images along with the caption we’ve included below (or create your own!) and ask your students share their input. There’s more than enough for you to easily establish one debate per day. Love them all? Download the entire social debate set. Pick a side! What team are you on: Vampires or Werewolves? Who would win in a battle: Aliens or Robots? Cast your vote! During the apocalypse, which type of zombie is more likely: Fast Zombies (think World War Z) or Slow Zombies (like in The Walking Dead)? 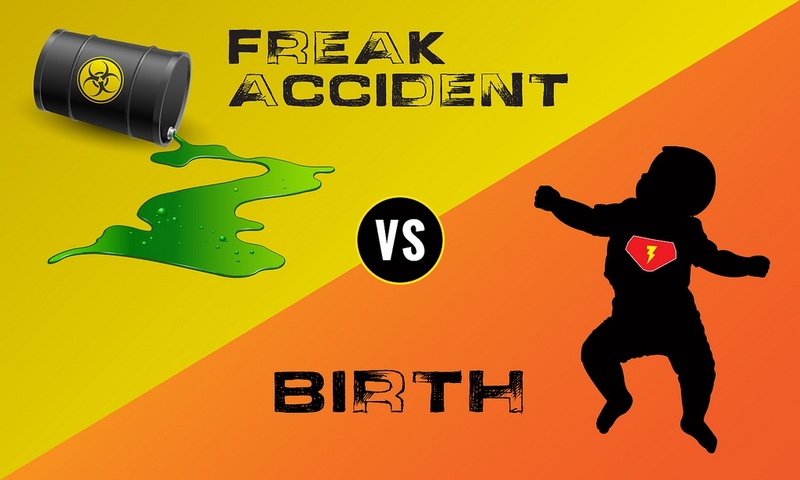 If you had a choice, how would you rather become a superhero: by birth or freak accident? Hey Harry Potter Fans, we want to know: which house would the Sorting Hat place you in? Calling all Trekkies! Who’s the best captain? The Geek Week fun continues! So, tell us: if you could choose, what would your super power be? Ok gamers, we want to know, which is better: First Person/Action games or RPG?